Lucky Break is a family of hand-blown glassware made with a process which gives every vessel its own unexpected and completely unique color composition. The colors warp, twist, and flow as the molten glass is shaped ensuring each piece is impossible to replicate. Design, engineering, and world-class craftsmanship come together in perfect balance to make each piece exclusively yours. 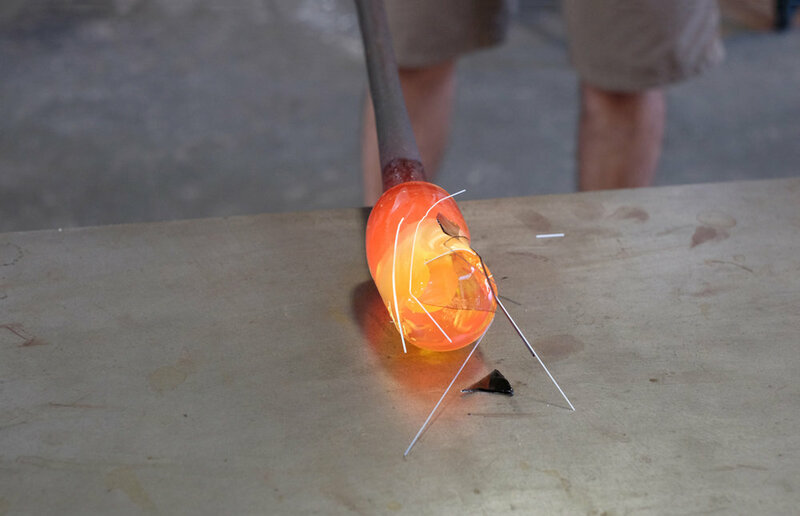 Instead of carefully composing each pattern, we developed a system for randomly applying color to the outer layer of the molten glass. As they melt, the colors warp and twist providing infinite possible outcomes. Study but delicate. We balance the distribution of glass so it feels both comfortably solid for everyday use and delicately refined. Every Lucky Break vessel is blown and cut in Oakland, California giving it a quality that machines can’t match and a personal touch than can only be imbued by hand.